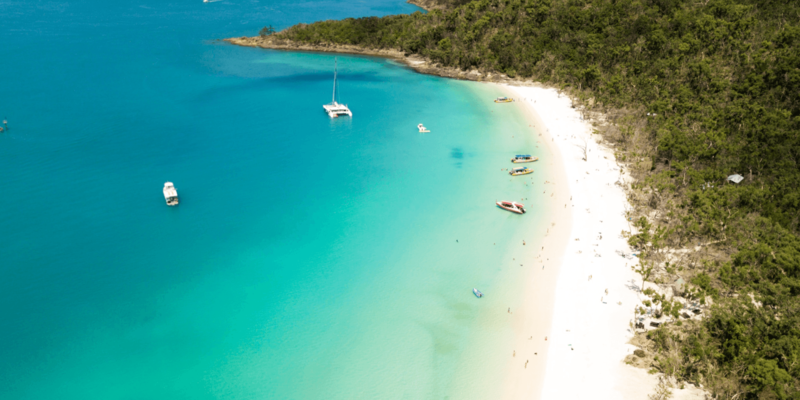 Often considered the heart of the Whitsundays, Hamilton Island is one of Australia’s most spectacular holiday destinations and the perfect place to base yourself when visiting Whitehaven Beach and the Great Barrier Reef. 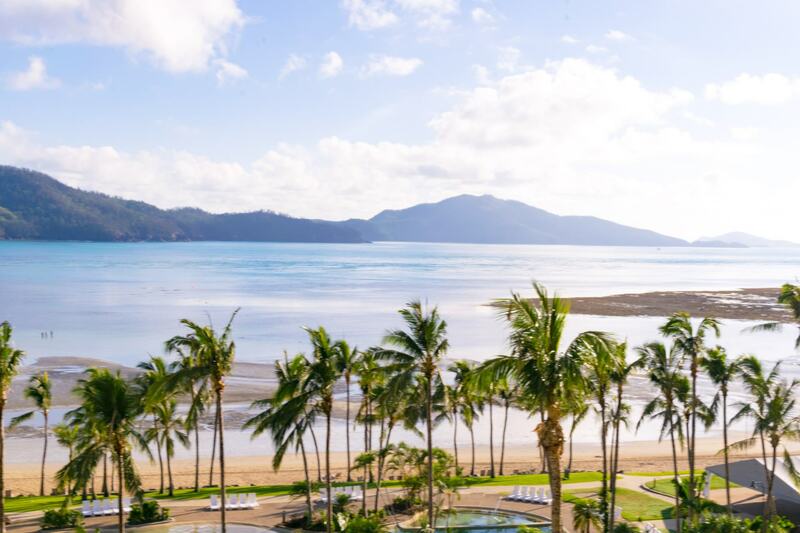 Hamilton Island has it all – great weather almost all year round, white sand beaches, amazing snorkelling, more beautiful views than you can fit into just one trip and the only Australian golf course location on it’s own private island! Here’s a quick guide with some important fun facts to keep in mind for your adventure. 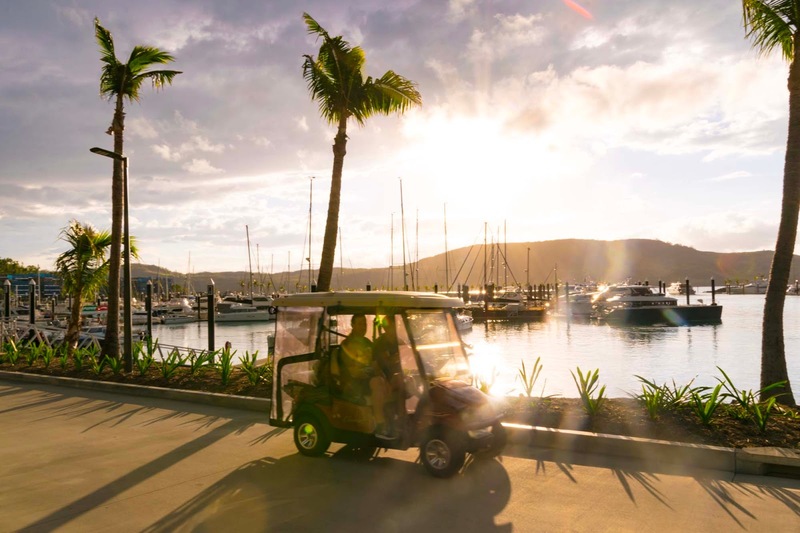 A short golf buggy ride from the marina or the resort street of the island, One Tree Hill is the perfect place to grab a cocktail, bring a picnic and watch the sun go down over the neighbouring islands. 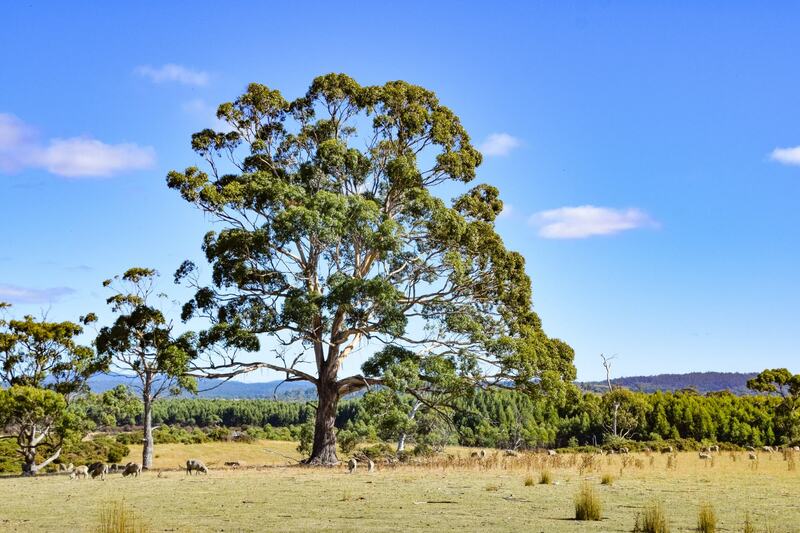 One Tree Hill boasts 360 degree views across the water, with beautiful panoramic photo opportunities everywhere you turn. 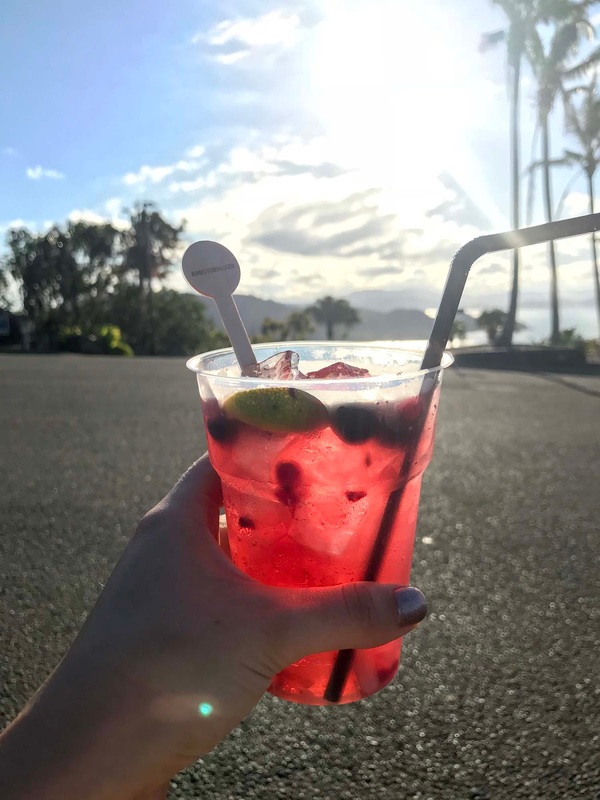 There’s a small cafe at the lookout where you can buy drinks and snacks – we can highly recommend the Hamilton Island Iced Tea – or you can bring your own picnic and esky, grab a picnic table alongside the lookout and wait for the magic to start. As you can imagine, it gets pretty packed up here during the actual sunset, so it’s a good idea to arrive about an hour before to get yourself a good spot and set yourself up for the evening. 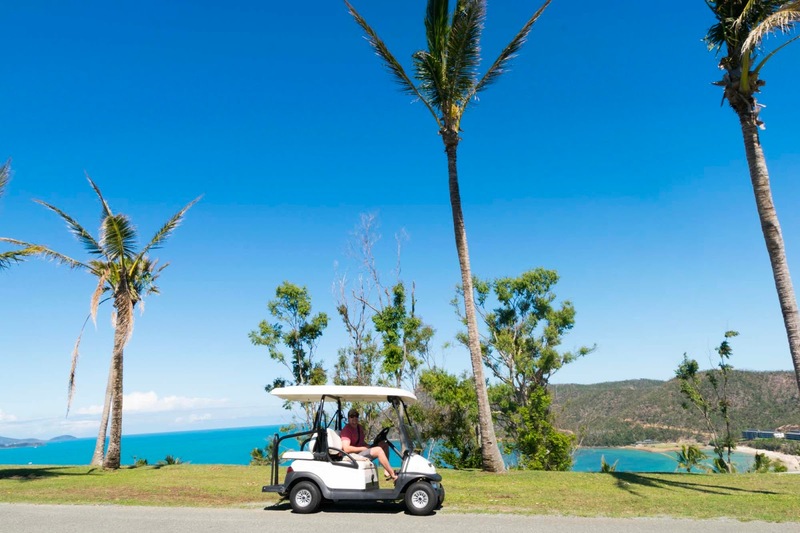 Our favourite way to get around any island has to be by golf buggy. It gives you the ultimate island vibe, doesn’t matter if you get in your buggy all wet and sandy from the beach, and offers the perfect way for you to air dry between the pool and dinner! 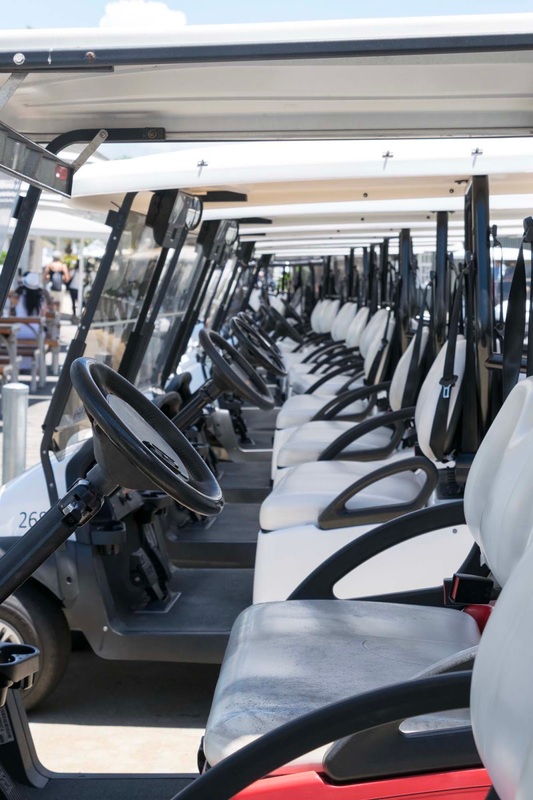 Golf buggies are the only independent way to get around the island, as there are no cars available to rent. You can pick one up from just outside the Resort Centre or straight from the airport with prices varying depending on your hire time. We rented our buggy for 24 hours which cost us $87 AUD and had a great time zipping up and down all the streets of the island. You will need to be over 21 with a valid driver’s licence and credit card to rent a buggy, but then you’re off! It’s a good idea to pre-booking your buggy if you’re visiting during the school holidays or summer months as they can book out in advance. 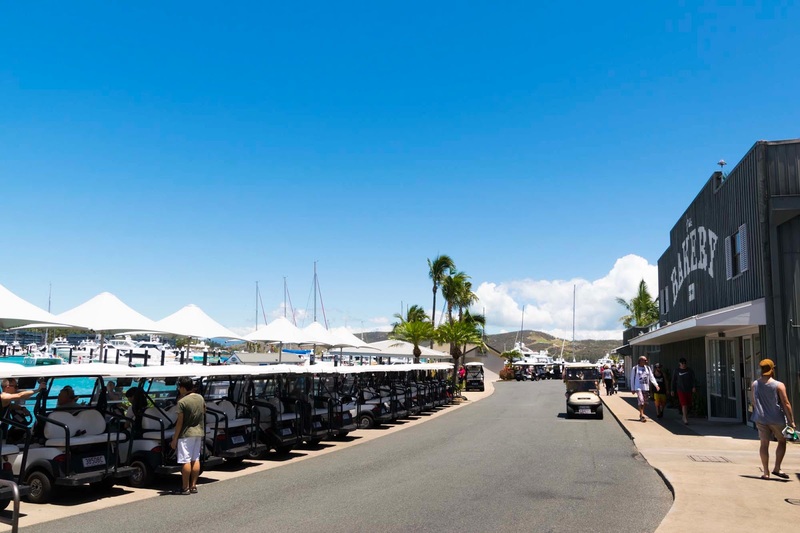 If you decide not to rent a buggy there are a couple of different free shuttle buses that can get you around the island. You can jump on or off them wherever you choose and they run from 6:50am until 11pm, so you shouldn’t find yourself stranded anywhere. The whole island is definitely walkable though, so if you do find yourself stranded for some reason it won’t take you very long to walk back to your hotel! The green shuttle bus pretty much just goes back and forth between Catseye Beach and the Marina Precinct every 15 minutes, while the Blue Shuttle bus does a bit of a loop around the island and is the one you want to jump on if you need to head back to the airport. 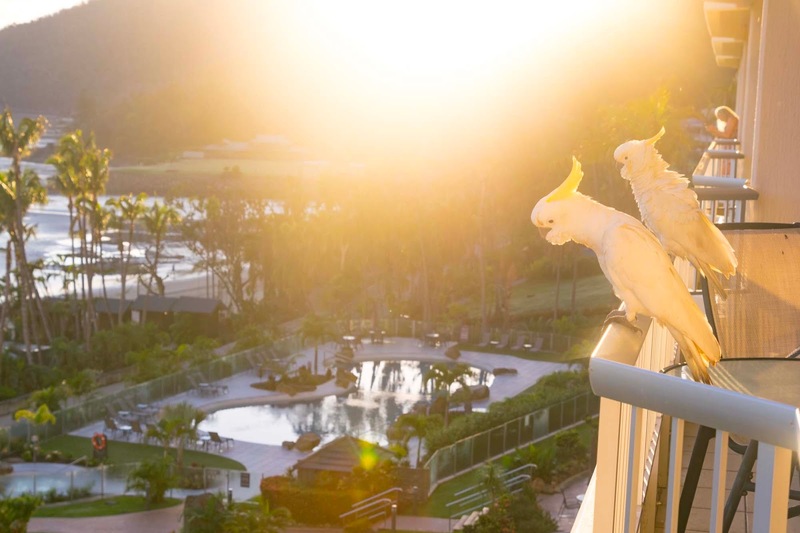 These yellow and white birds might seem like they just want to be friends, but they will steal anything you leave out and destroy your hotel room if they get inside! 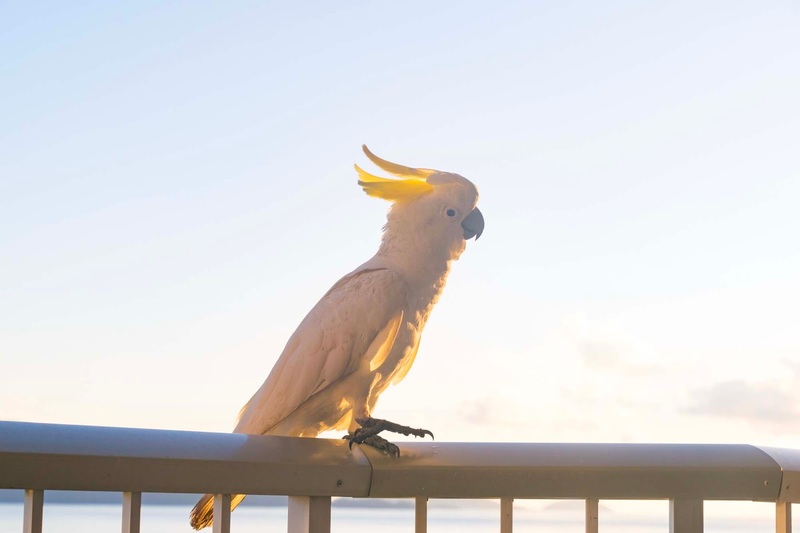 The cockatoos on Hamilton Island are used to people being around, so they do not have a problem getting up close and personal to you if you have something you want. We found this out first hand when a cockatoo landed on our balcony, picked up Thom’s iced coffee bottle and dropped it over the other side! How annoying!! 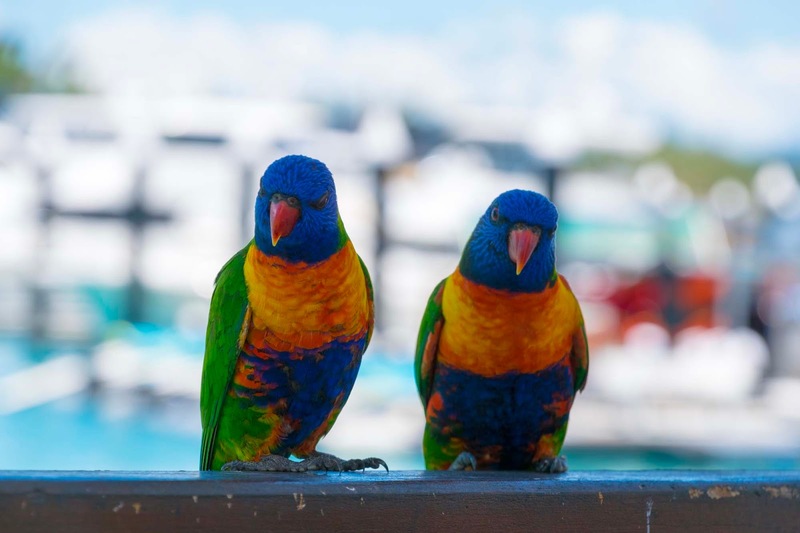 Most hotels will give you a reminder and have signs on the doors telling you to always keep your balcony door closed to avoid cheeky cockys breaking into your hotel room, stealing your belongings and just generally damaging the resort – and there can be some hefty fines if they do get in. 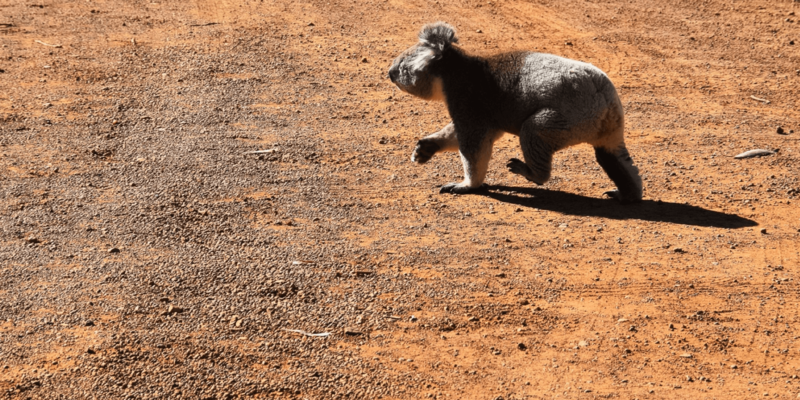 The Whitsundays are not only one of the most beautiful, popular and exciting places to visit in Queensland, but in all of Australia! This epic ocean space of 74 islands is home to some of the best views, beaches and reef sites around the world. 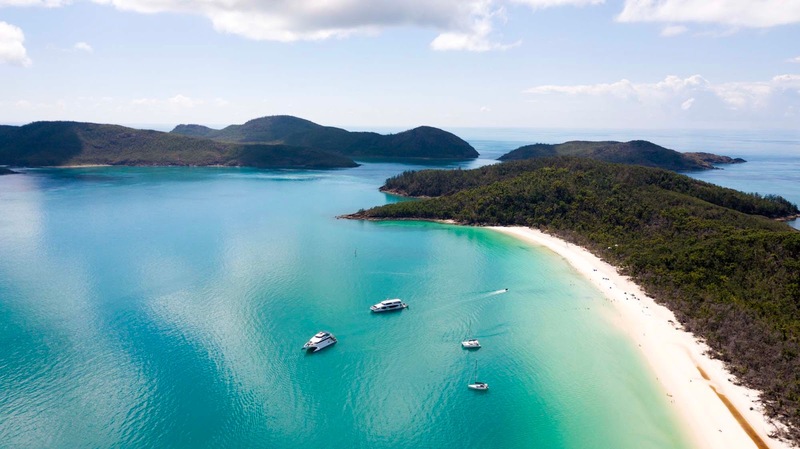 No trip to Hamilton Island is complete without a day trip out to Whitehaven Beach – the infamous island white sand beach made up of 98.9% silica, and it’s iconic Hill Inlet views. 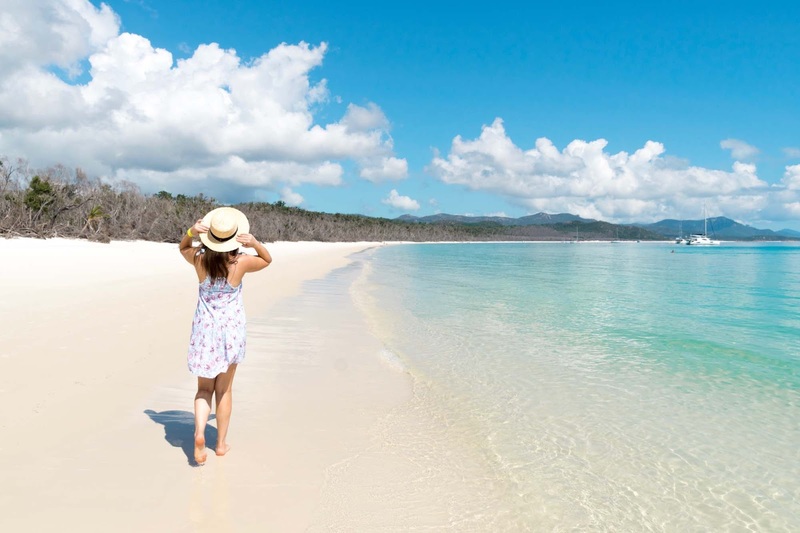 There are all kinds of tours that you can take out to Whitsunday Island and to explore the Whitsundays, so choose one that sounds good to you and book it! 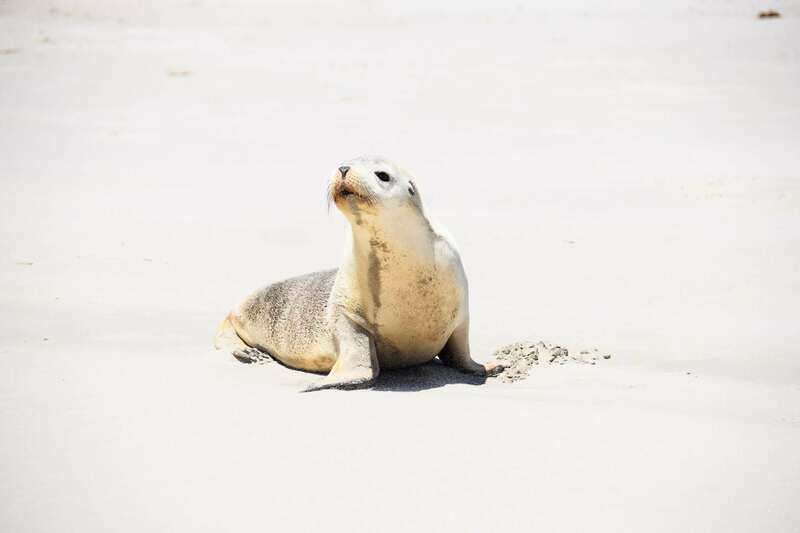 Cruise Whitsundays knows this part of the world better than anyone, so they are a great place to start if you’re looking for all kinds of tour options! Considered the ultimate location on Hamilton Island to see the sunrise, Passage Peak Lookout is the place to be in the early hours of the morning. It’s a bit of a hike to get up there, with the round trip taking you along a 5.3 kilometres incline trail to 200 metres above sea level. If you not too relaxed after your beach days to hike, Passage Peak is the highest vantage point on the island and is a view shared by few of the adventurous ones. The trails are the safest during the daylight, so if you’re planning to be at the top for the sunrise and hiking in the dark make sure you’re extra careful and bring a torch light with you. The hike can take anywhere from 90 minutes for the fittest of us, while it can take up to 4 hours for a slower pace or if you’re hiking with kids. There are lots of stairs throughout the walk and it is definitely one where you need to ditch the thongs and pull on some actual trainers. 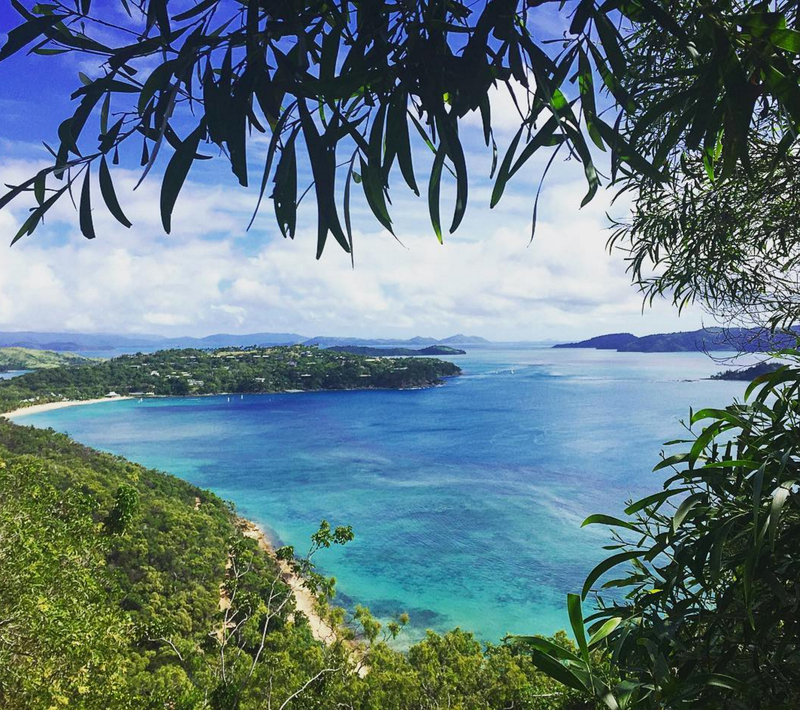 With quite a few tours and experiences booked for our time on Hamilton Island and only a short stay we didn’t have the time to try the Passage Peak walk this time, but it is definitely on our list for next time. 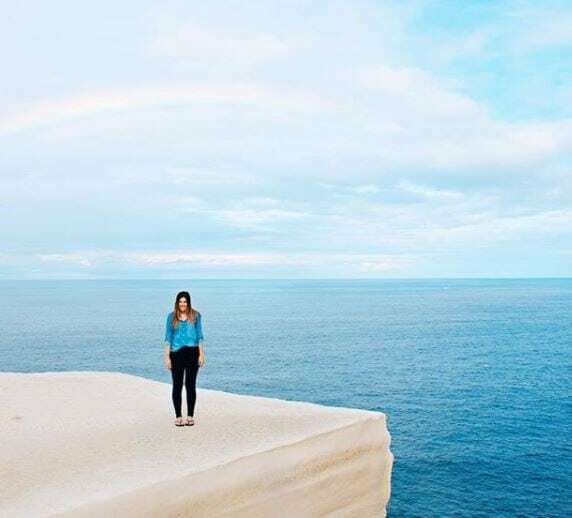 Just look at those views – how incredible! Image above found here. 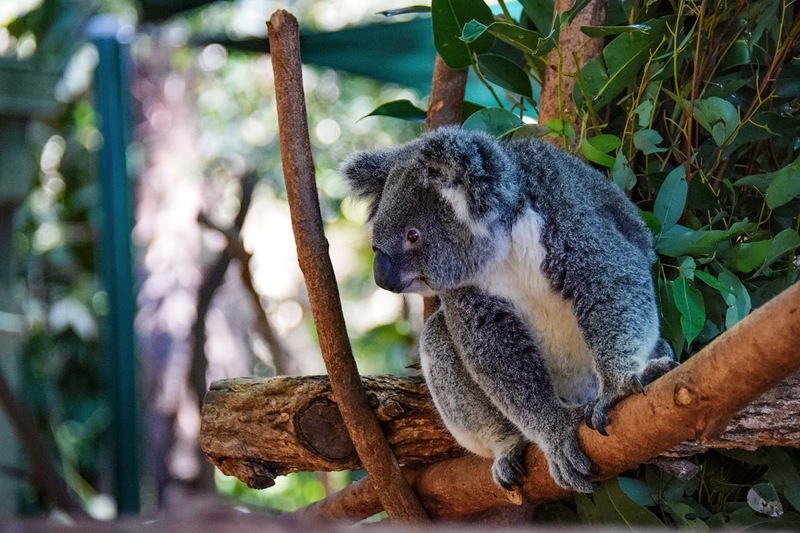 After suffering from significant damage by Tropical Cyclone Debbie in March 2017, WILD LIFE Hamilton Island has already bounced back, finishing their repairs and looking better than ever. 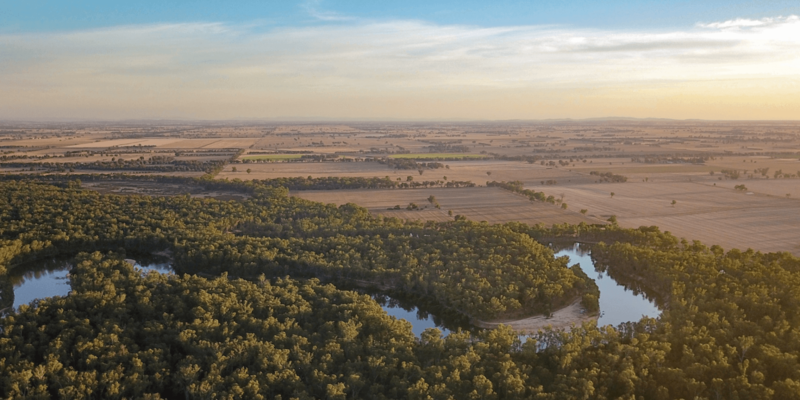 The wildlife sanctuary offers visitors an intimate experience, getting up close and personal with native Australian animals, feeding sessions and photo opportunities. 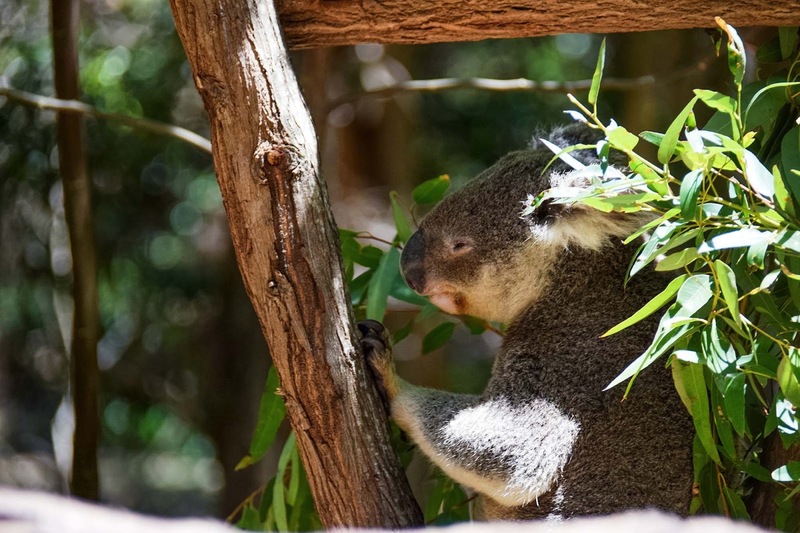 But the main draw card of the park has to be the chance to have an Aussie-style buffet breakfast with koalas, with the parks koalas having their eucalyptus leaves right next to you and your pancakes and bacon. No bookings are required and if you don’t have time to visit the whole park you can just choose to only have breakfast. 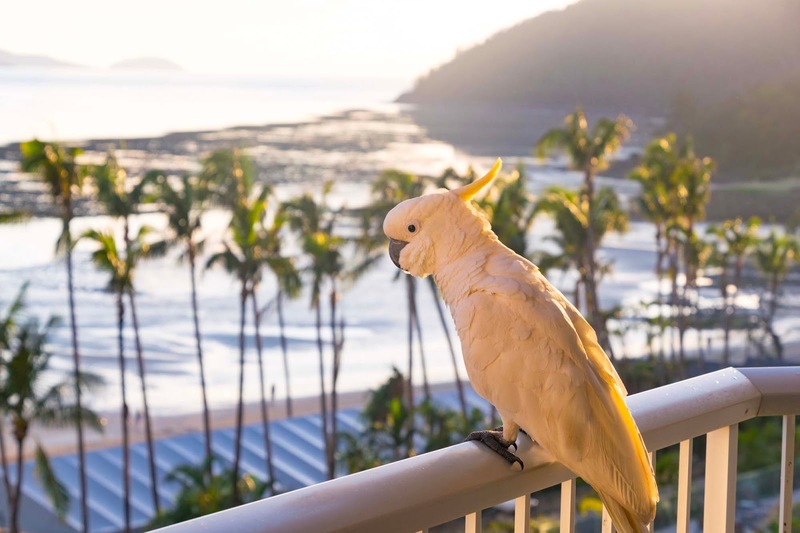 The Hamilton Island app (available for iPhone and android) is the perfect little guide in your pocket for everything you need to know about Hamilton Island. 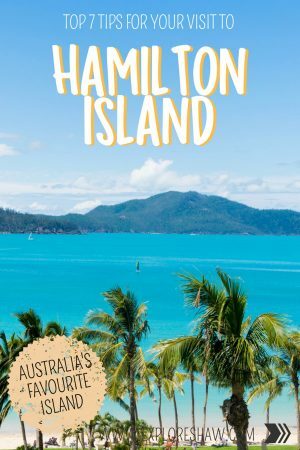 It includes live weather updates, an events guide for everything that’s happening on the island and their locations and start times, a bus timetable and map to all of the bus stops, guides and listings for the bars, restaurants, services and points of interests around the island, ferry timetables and even live flight information for all flights arriving and departing from Hamilton Island airport. 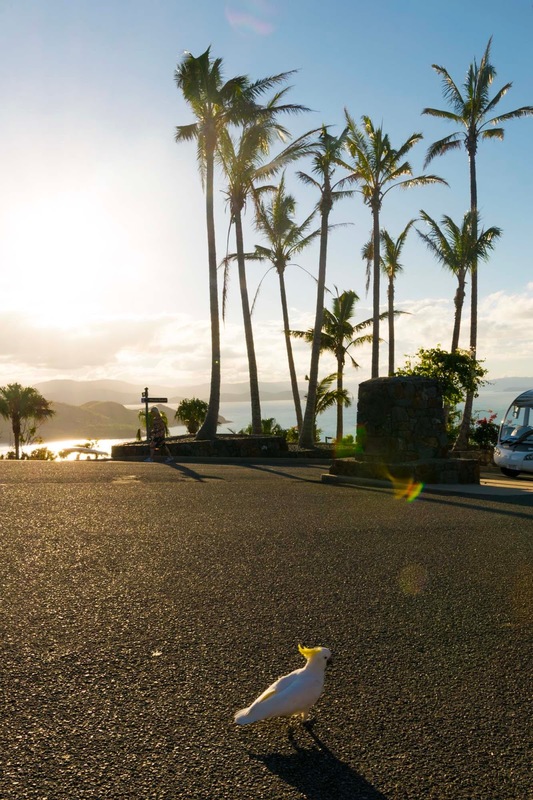 This little app will come in very handy during your stay on Hamilton Island, and you’ll probably be pulling it out to check details way more than you expect. 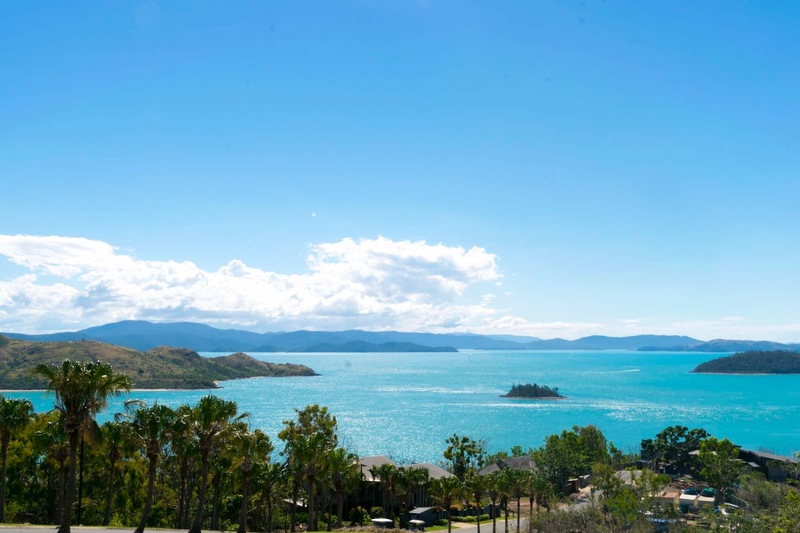 You can find out more and download the Hamilton Island app here. 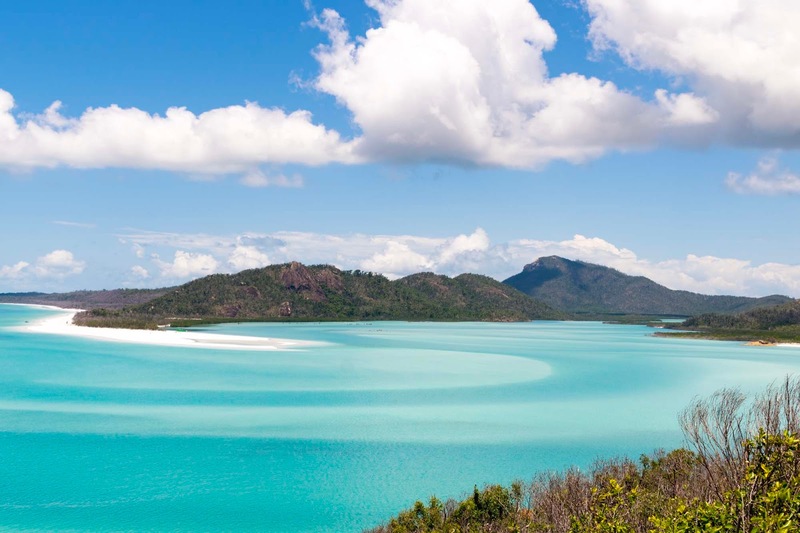 As one of the most breathtaking, relaxing and beautiful places in Australia, surrounded by the gorgeous Whitsundays and some of Queensland’s most iconic attractions, Hamilton Island can not be missed on any Aussie itinerary. 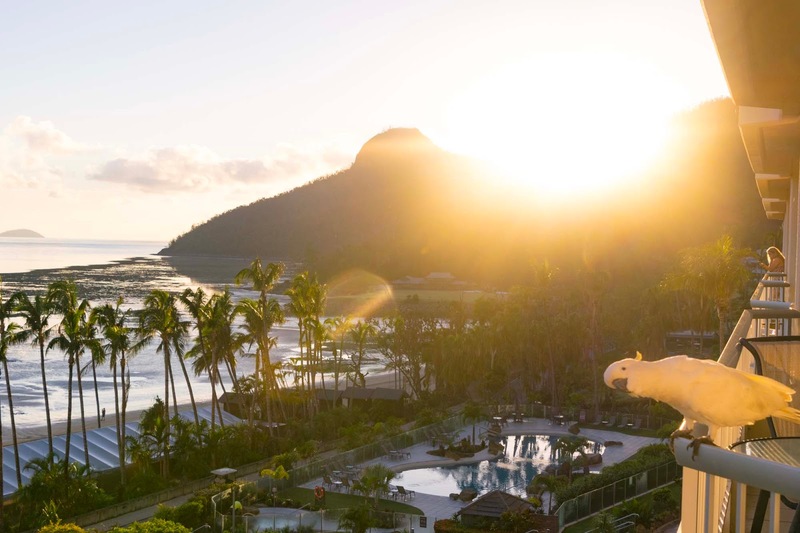 From diving in the Great Barrier Reef to pool hopping and relaxing on the beach, there is something here for every traveller to enjoy. 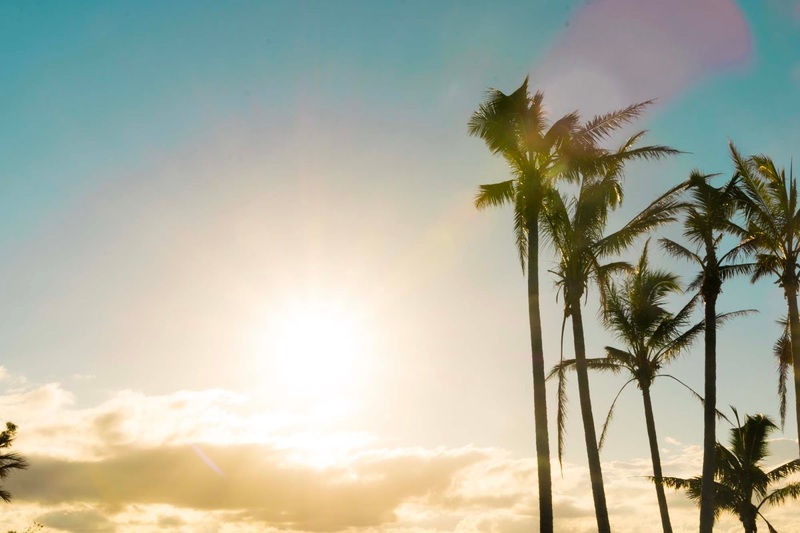 What’s your favourite way to spend the day on Hamilton Island?